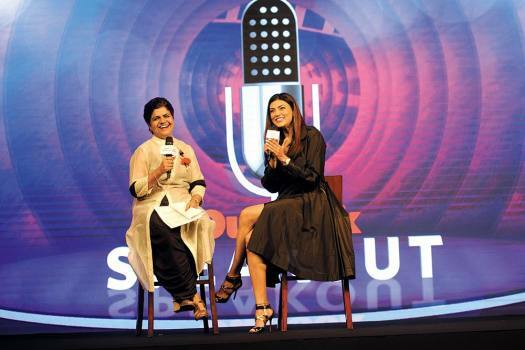 Sushmita Sen with Outlook’s political editor Bhavna Vij- Aurora at the Outlook Speakout. The big takeaway from the list is announcement of BJP president Amit Shah to contest his first Lok Sabha elections from Gandhinagar in Gujarat, a seat that has been represented by senior leader L.K. Advani for past five terms. While PM Modi had earlier announced 10% reservation for the economically backward class to keep them in good humour, middle class and farmers have been taken care of in the pre-poll budget. If the present mood in the Congress persists, more protests are expected in the National Capital and other parts of the country in the run up to 2019 Lok Sabha elections. Bhim Army chief Chandrashekhar was released from jail on Thursday. He took care to cover all sections of the society – the underprivileged, farmers, Dalits, women, youth, army and the somewhat disillusioned middle-class. 24-year-old Vishuv Mishra is Amethi district general secretary of the Bharatiya Janata Yuva Morcha, the BJP’s youth wing. Hardik Patel, Alpesh Thakor, Jignesh Mevani: Three (Ex-) Musketeers? Three young activists—Hardik Patel, Alpesh Thakor and Jignesh Mevani—had grabbed a fair bit of spotlight before, during and after the Gujarat assembly polls over a year ago. Nationalism reigns over much of Modi’s home state, giving BJP a post-Pulwama glow. But there are sullen sections of society that stand aloof. Despite keeping it low-key, Priyanka Gandhi Vadra's appointment could be the Congress’ boldest gamble to regain as much space as possible in Uttar Pradesh.